I’ve been a bit displeased with the descriptions given of the effects of Coluracetam, not for a lack of effort on user’s parts- but on the summaries given. Primarily the summary of “Visual improvement” or “Perceptual improvement”. I’m not satisfied with this, and have been giving it more thought throughout the day, trying to pay more attention to the details of it’s effects and will give a further account of it here. 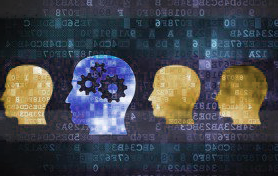 Other people who have used it are encouraged to reflect on their own experiences and comment about whether you find it to be accurate or not. First, a list of the different perceptual improvements I noted. More rapid intake of detail through visual sensory system. 3. More rapid intake of details through auditory sensory system. 5. More rapid intake of detail through sense of smell and taste. 6. More rapid recording and reflection on details taken in through the senses. I’d like to add something first, to keep in mind during this perhaps excessive review: And that is that the senses tend to only record details when you are focusing on that sense and on the details you are trying to take in. That is to say that you do not multi-task as well as you think you do, and that Coluracetam dosage does not allow you to multi-task easier. When you think yourself to be multi-tasking, you are actually just switching back and forth between your area of focus. Okay, now to the review. More rapid intake on detail through the visual sensory system. Realistically I mean extended FRONTAL vision, that extends into the normal field of periphery. That is to say, that details of what you’re seeing in peripheral vision are easier to note, record and actually SEE – not just the basic colors or outlines of an object. More rapid intake of details through the auditory sensory system. People tend to say that while on this – Music sounds “different”. Not better or worse, just different. My take on this is that you are able to extend your range of focus to take in more of the entirety of the sound. Perhaps not THE ENTIRETY, but more of it. Ex. you may notice more of the backround sounds, other instrumental tracks you hadn’t noticed before and take all of this in. And so it seems different because of the extended range of focus. The word “Kinesthetic” refers to an active knowledge of the location of your body and it’s various parts. It’s associated with ‘muscle memory’ and is highly integrated with dexterity. More accurately than the subject category title- It’s an increase of detail information from the sense of touch. And resulting is increased kinesthetic detail. As mentioned in the visual category, Hand eye coordination seems to be increased. I attribute this to a combination of Visual detail intake speed and ‘touch’ detail intake speed. They seem to sort of multiply on each other for incredible dexterity. Or alternatively, it gave me faster access to ‘muscle memory’ – as I was working my regular job. I just noted much higher Dexterity than normal, and as I will explain in further detail in category #5, better ability to take in detailed information about an object, at higher speeds from touch. More rapid detail intake through smell and taste. I combine these into one category for obvious reasons, if you have to ask why then this review has probably already confused you. To elaborate on something I’ve found to sort of ‘control’ this detail intake… It is really ALL ABOUT FOCUS. Primarily what you focus ON. If you are focusing on your visual intakes then you’ll notice a lot more detail, a lot faster etc… If you’re focusing on your auditory intakes, the same thing. As with all of the senses, if you’re focusing on the inputs from that particular sense, it seems that more and more information is taken in as a result of the focus. Now this is obviously the case in normal situations, but seems not only improved – but amplified by Coluracetam. Also, I mentioned at the beginning that the human brain doesn’t actually multi-task, but said during the review that the range of focus seems expanded. It sound somewhat counter-intuitive but is really the only way I can put it. The entire field of focus seems to be expanded, extended and increased overall. But still does not do multiple at once. It simply works through the details faster so that you can switch between them more rapidly. Which leads me to category #6. #6. More rapid recording and reflection on details taken in through the senses. Coluracetam increases the UPTAKE of Acytl-choline into neurons. This differs from other Nootropics which increase the FLOW of it. This means that your neural cells are transferring information at a higher rate than usual… It’s also been shown that it will allow damaged neurons to take in Acytlcholine as well. 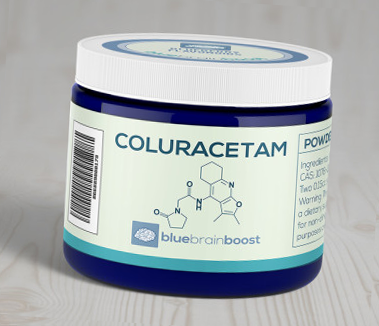 To summarize: My experience with Coluracetam, a part of noopept stack has been mostly positive, I’ve also taken Choline Bitartrate with it (every time).